Just appeared: a paper by Gerard van Buurt with field observations and new records on the malacofauna of Curacao. 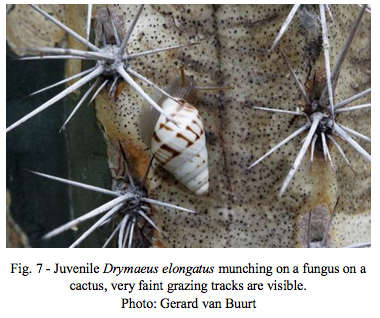 Especially the ecological observations are very interesting and a new hypothesis is formulated which may explain the disjunct distribution of Drymaeus elongatus on the island. 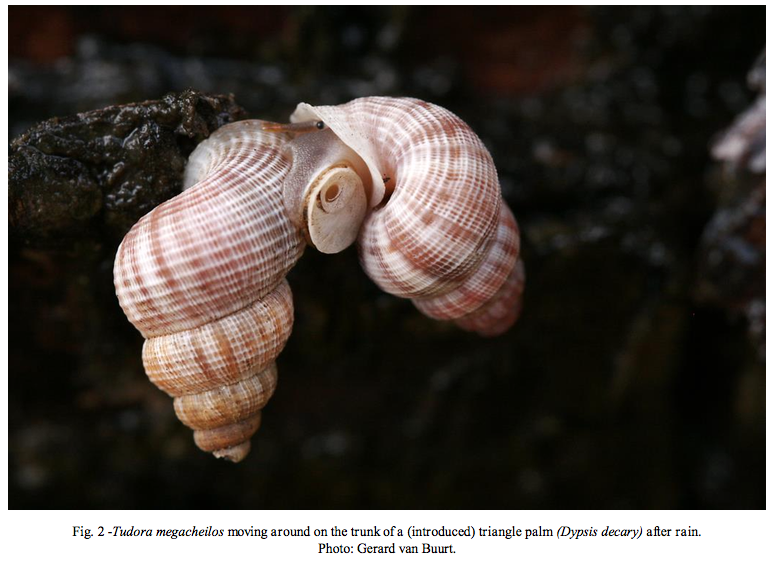 The abstract reads: “Currently 31 species of terrestrial snails are known from Curaçao, 28 of these are indigenous. The taxonomy of Curaçao land snails has been studied quite well. An inventory of species and subspecies exists. About their ecology however much less is known. The influence of salt spray from the sea on the distribution of some species is discussed. By observing snails in the field some conclusions about their ecology have been reached; these and some further assumptions are hereby presented. Three of the larger species of indigenous snails are discussed. These are Cerion uva, Drymaeus elongatus and Tudora megacheilos. The introduced snails Bulimulus guadalupensis, Zachrysia provisoria and Achatina fulica (= Lissachatina fulica) are briefly mentioned; the latter two are new records for Curaçao”. This entry was posted in Uncategorized and tagged annulariidae, cerionidae, drymaeus, ecology, West Indies on February 29, 2016 by bramb.